Or is it just Western-centric? Or is it racist and Western-centric? Or is there a New York, Botswana that I'm unaware of? This is a fun game! 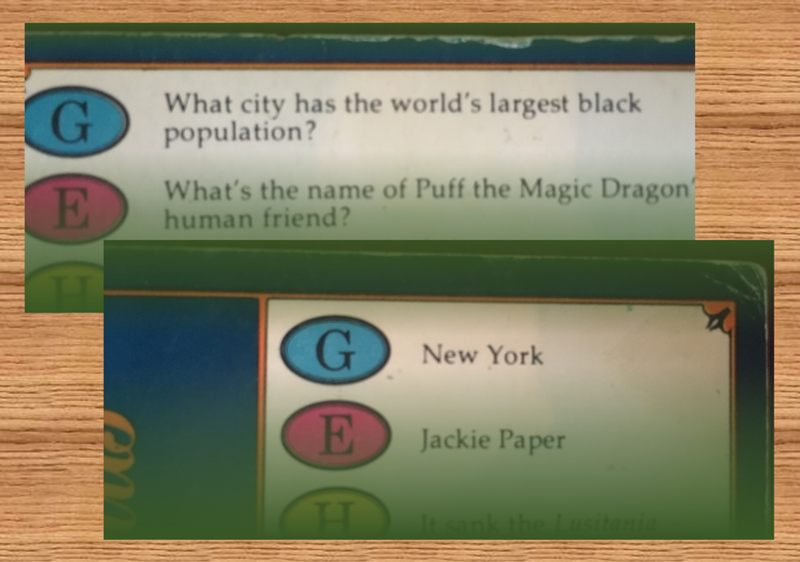 Good work, Trivial Pursuit!